In 2016, a mobile shoot ‘em up called Sky Force Anniversary made its way to consoles. Despite the humble origins, it proved to be a surprisingly robust and addictive game. 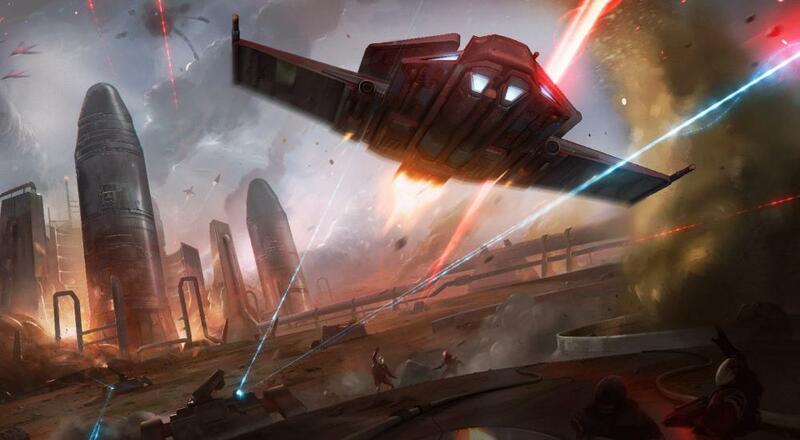 Now Infinite Dreams has released the sequel Sky Force Reloaded on Xbox One, PlayStation 4, and Steam. With two-player local co-op and loads of new content, Reloaded just might be one of the best shmups ever made. 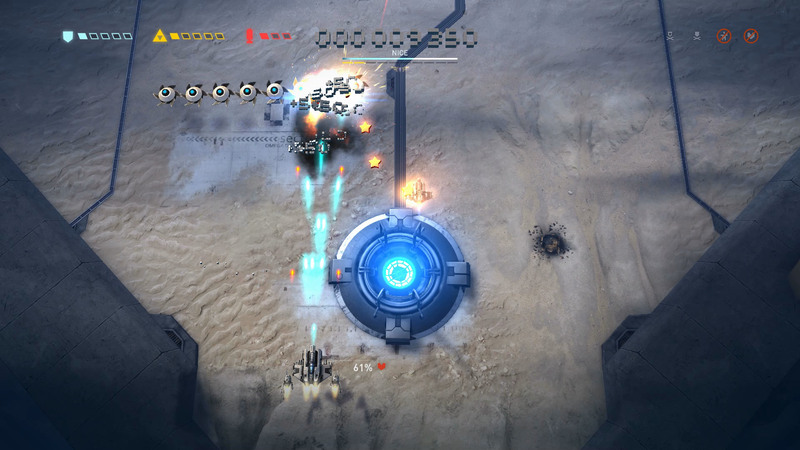 Sky Force Reloaded is a vertically-scrolling shmup that uses the full 16:9 playing field – a welcome upgrade over the mobile version's portrait-style presentation. The move from phones to consoles also brings much improved controls, although only the left analog stick is supported for steering. Anniversary let players steer with the D-Pad as well, and there’s really no excuse for the omission here. After engaging in a short prologue stage, players will gain access to the world map. From there, you can select and replay any of the game’s 15 stages (provided you’ve unlocked them). Every stage has four medals to earn by completing objectives such as taking no damage or killing all enemies. By earning all four medals on one difficulty level of a stage, you'll unlock the next difficulty for that stage. Enemies do more damage and have more life on higher difficulties, but the basic layout and enemy formations remain the same. Each higher difficulty level offers four more medals to earn before you can reach the next difficulty, so you'll have plenty of reason to keep playing and improving your performance on a level. Speaking of difficulty, your aircraft shoots faster and can generally deal and receive more damage than before, which makes the higher difficulty levels a lot more enjoyable. In Anniversary, the later stages got painful at higher difficulties because your offensive abilities were so limited. Other improvements include power-ups automatically firing off when you’re full and pick up a new one, score rewards for defeating bosses quickly, and unlockable drones are more useful because they can no longer be destroyed. Page created in 1.1254 seconds.